Team Meat provided Nintendo Switch owners and fans of Super Meat Boy with a surprise over the holiday weekend. 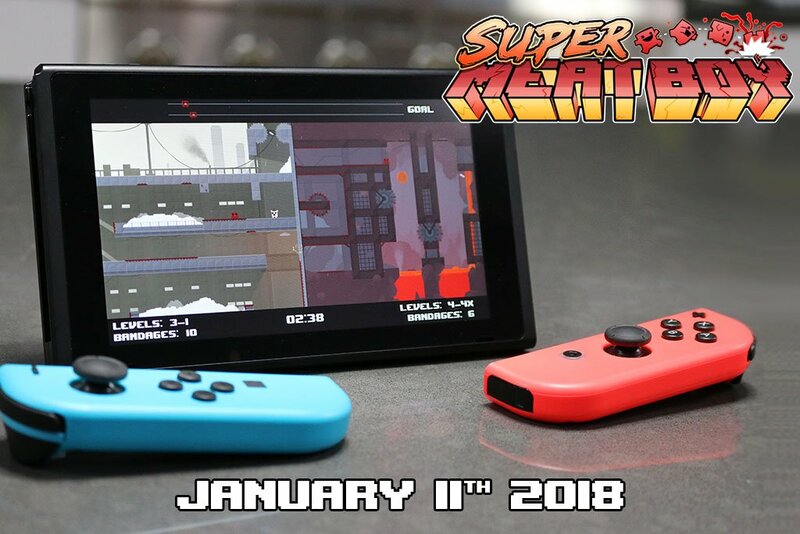 In a Twitter thread post made December 23, Team Meat revealed a teaser image for a Nintendo Switch port of Super Meat Boy. Set to launch January 11, the port includes an exclusive new race mode that splits the screen and allows players to race each other through levels. Originally released October 20, 2010 on Xbox 360 and PC, Super Meat Boy tasks players with guiding the titular character through high speed platforming challenges. Designed by The Binding of Isaac Creator Edmund McMillen, the game has found widespread acclaim for its art style and gameplay, with ports made available on PlayStation 4, PlayStation Vita and Wii U. A sequel, Super Meat Boy Forever, is set for release in 2018 on PlayStation 4, Xbox One, PC and Nintendo Switch. Those interested in staying up to date on the sequel can do so with the game’s official website. Few games have had the lasting appeal that Super Meat Boy enjoys, so it’s no surprise that the game is making its way to Nintendo’s newest console. That said, the new racing mode offers an awesome new multiplayer facet to a game with plenty of potential for enjoying with others. Hopefully it proves successful and will be included in Super Meat Boy Forever as well.